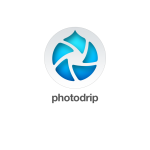 Photodrip 1.0.1 is out on the App Store. Its free to download and use. Photodrip does what Instagram’s app name merely promises: Instant photo grams. Sell: Show something you are trying to sell in ‘real time’. Simply text or email a link to another person and they can see what you are selling. Real time real estate walk throughs, selling your boat, etc. Photo Journalism: Take photos like a pro – in other words snap many many photos as fast as you want – Photodrip can take images as fast as you can click the shutter button. (Well over one per second). Fun: Take flippant photos of friends and share them privately, without the photos clogging up your camera roll. Or having to post on Facebook. Field Personnel: While ‘on site’ you can quickly show those back at the office what is going on. Construction, repair. Shopping: Use it to help you shop with another person. All of the above tasks can be done using existing tools: Lets look at the time require to text 10 photos while shopping – on an iPhone 5 with a 3G connection. Press photo button, Take photo, ‘press use button’, then the photo uploads (all 3MB of it it seems). Then the person on the other end has to wait while it downloads onto their iMessage. I can’t get this to happen in less than 12 seconds. 12 seconds does not sound like a lot, but when you ask someone to repeat that multi button process 10 times, they get frustrated by all the button pushing/waiting. Plus you have used 30 MB of bandwidth on your data plan (or worse if they are MMS messages). With Photodrip, you send a text message with a URL to your friend. They see all the photos you have taken, and any new photos you take show up as soon as you take them – within a second. 10 photos takes about 10 seconds to post, with 10 taps button pushes on your side. You have used up about 0.7 MB of bandwidth on your account. Pictures you take with Photodrip stay on your camera, allowing you to select your favorites to store in your camera roll, etc. You can also of course post images from your camera roll to an online Photodrip.